Jeff Brown has joined 4D Technology as the new Product Sales Manager for the 4D InSpec Surface Gauge. Mr. Brown brings over 22 years of surface metrology field experience in applications, sales, and service, including instruments used throughout production, failure analysis, and R&D. Prior to joining 4D Technology Jeff was part of the sales and applications teams at Taylor Hobson, Olympus Industrial Microscopes and WYKO Corporation (later part of Veeco Instruments). Jeff offers direct field experience in the sales, operation, training, and servicing of a wide range of optical non-contact and contact-based instruments used for characterizing surface defects, roughness, waviness and form. 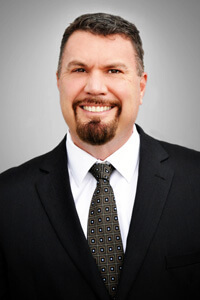 Jeff received his BS degree in Optical Engineering from the University of Arizona in 1994.